CARACAS (Reuters) – Venezuelan President Nicolas Maduro demanded the United States apologize on Thursday after the Obama administration’s nominee for envoy to the United Nations said there was a crackdown on civil society in the South American country. 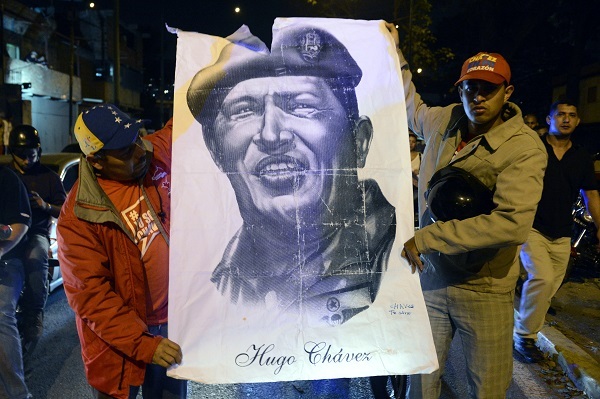 Maduro has often clashed with Washington since winning an April election following the death of his mentor, socialist leader Hugo Chavez. He said Samantha Power’s comments to a Senate confirmation hearing had been aggressive and unfair. “I want an immediate correction by the U.S. government,” Maduro said in comments broadcast live on state television. His comment was an apparent reference to the not-guilty verdict handed down in the Florida murder trial of George Zimmerman on Saturday for the killing of unarmed black teenager Trayvon Martin. Maduro has been the most vocal of three Latin American leaders who offered asylum to Snowden, the 30-year-old former National Security Agency contractor wanted by Washington for leaking details of secret surveillance programs. Since taking office, Venezuela’s leader has veered between appearing to want better ties with Washington and denouncing alleged U.S. plots to assassinate him and trigger a coup d’etat. Maduro, a former bus driver and union leader who became Chavez’s foreign minister and vice president, said the “fascist right” in Venezuela were gleefully applauding her comments. “And the U.S. government says they want to have good relations? What tremendous relations they want,” he scoffed. In June, Venezuela’s Foreign Minister Elias Jaua met U.S. Secretary of State John Kerry on the sidelines of a regional summit. That meeting was seen as a sign of improving ties after years of hostility during Chavez’s 14-year rule. But the latest collision came when Maduro became the first foreign leader to say explicitly that he was offering asylum to Snowden, the NSA leaker who has been trapped in the transit zone of a Moscow airport for more than three weeks. Bolivia and Nicaragua also subsequently offered him sanctuary, but Venezuela’s government has said it can do little to help him as long as he remains stuck at the airport.